Expanding into the Center for Community School Strategies is the next step in the Tulsa Area Community School Initiative’s decade of experience in Oklahoma implementing Community Schools. Now all schools and communities across Oklahoma and the surrounding southwest states can benefit from this expertise. Our mission is to help schools effectively integrate strategies from the Community School model to align resources and partnerships between schools, families and neighborhoods that create networks of support that lead to student success. 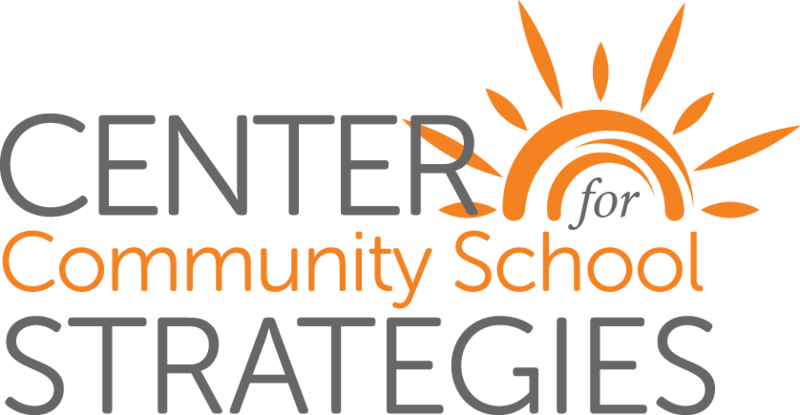 In collaboration with the National Center for Community Schools, of The Children’s Aid Society in New York City, a core team of TACSI staff conceptualized and launched the Center for Community School Strategies in early 2016, seeing a need in Oklahoma and the surrounding states for consultation, training, and overall support for schools interested in applying all, or just a select few, of the evidence-based strategies that make up the Community School model. A Community School is a place and a network of supportive partnerships between the school and the community that help children learn, families succeed, neighborhoods engage and communities thrive. With support and resources from the community, community schools care for the whole child – academically, emotionally, physically and socially. Click here to learn more about Community Schools. from the Community School model to align resources and partnerships between schools, families and neighborhoods that create networks of support that lead to student success. The Tulsa Area Community Schools Initiative, consisting of key education and community leaders in Tulsa, brought the Community School model to Oklahoma, initiating our first Community School in 2007 – TPS’s Mark Twain Elementary. Since then, many schools have developed into Community Schools, or have utilized components of the Community School model to strengthen their schools. TACSI was built on the hope and vision for a time when Community Schools in the Tulsa area would serve as centers of community life, offering comprehensive programs, services and opportunities to students, families and the neighboring community. Sustained by family, school and community partnerships, community schools provide nurturing environments and enriching opportunities which promote successful learning. Click here to read more of TACSI’s story.